Diagnostic tests have moved beyond identifying the ailment and are now guiding doctors on the line of treatment to follow. If you have high-grade fever - doctorspeak for 101 degree-plus - for two days or lingering fever for a week or more, you are advised to go for a blood test to check if the cause is malaria, dengue, leptospirosis (a bacterial infection) or chikungunya. Nothing new, right? Not really. 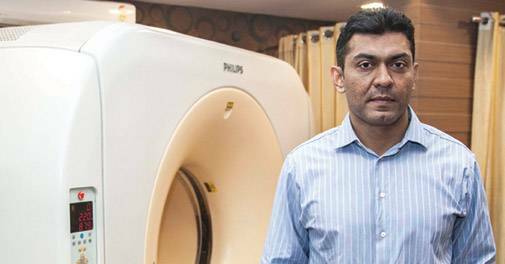 While doctors and diagnostic professionals have recommended such tests for years, the spread of diagnostic chains - it is now a Rs 60,000 crore industry with 1,00,000 centres across the country - over the past few years has given patients access to latest innovations and technology that are ensuring early detection and that too with greater precision and speed. "About 74 per cent medical decisions are now based on pathological tests. These are helping in therapy as well as monitoring. For instance, in case of prostate cancer, we do PSA estimation tests to check if the cancer is under control," says Dr. Avinash Phadke, President and Mentor, Pathology Services, SRL Diagnostics, a leading player with 368 laboratories, including in Dubai, Sri Lanka and Nepal. The list is long. For instance, molecular-based diagnostics, which has become popular over the past two years, is being used extensively to detect ailments early on. It can even guide the doctor on the line of treatment due to better detection rate (it gives more details than the routine tests). It comes at a cost, though. 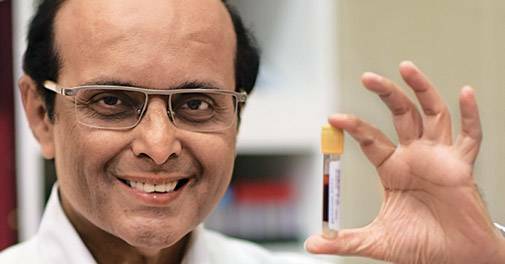 A molecular test for malaria costs around Rs2,800, more than the total cost of treatment, including the routine test, in a non-hospital setting. Similarly, for dengue, the routine Elisa test costs nearly Rs600, but a molecular test can cost around Rs3,700. The growth of diagnostic services, both routine and cutting edge, is ensuring that these tests become an integral part of any treatment. "Today, a molecular test in case of a tumour is standard. It helps decide the nature of chemotherapy and the line of treatment," says Dr. Radheshyam Naik, Head of Medical Oncology and BMT (Bone Marrow Transplantation) at HealthCare Global in Bangalore. Dr. Phadke says another dimension is the speed of diagnosis. "About five years ago, for tuberculosis, diagnosis and culture used to take six-eight weeks, but now the diagnosis is done within a day and the doctor gets drug options in two-three days depending on the drug sensitivity report done by a molecular method called the Hains test. The conventional culture of the organism to study drug sensitivity used to take six to 10 weeks. The test has been available in India for the past three years or so," he says. So, how big is the diagnostics space in India? Estimates vary and most try to arrive at a number based on reagents sold, sales reported by major/organised players and estimates of those that are unlisted and their market share. "The diagnostics market today would be around Rs60,000 crore with Rs35,000 crore for pathology and Rs25,000 crore for radiology. Again, out of Rs35,000 crore pathology, 35 per cent is in the hospital space, leaving some Rs22,000 crore in the private sector. Out of this, organised players would account for about Rs4,000 crore. The rest is fragmented among regional and small laboratories," says Dr. Phadke. "These numbers have been arrived at based on estimated sales of listed and unlisted players and correlation with their market shares," he says. The sector is dominated by unlisted chains such as SRL Diagnostics and Metropolis apart from listed entities like Dr. Lal PathLabs (Rs1,088 crore in 2017/18) and Thyrocare (Rs 379 crore in 2017/18). A big part of the market comprises small standalone players. "Organised players account for 10-15 per cent of the market. Recent years have seen us opening more centres because in diagnostics both location and convenience matter. We have to be accessible," says Suneil S. Reddy, Executive Director of Hyderabad-headquartered Vijaya Diagnostic Centre. "Over the last two to three years, we have been opening around 10 centres a year, most of them full-fledged integrated centres and not collection centres compared to, say, two-three a year about five years ago." Vijaya Diagnostic was founded in Hyderabad in 1981 by Dr. Surender Reddy, a radiologist, and is today a 55-centre chain with top line of Rs 280 crore. His son, Suneil S. Reddy, an engineer by training, says one of the biggest growth drivers in recent years has been increased awareness about preventive health check-ups. This is apart from the spread of new diseases and with it new tests, especially in oncology, and higher incidence of ailments such as diabetes and hypertension in younger population. He foresees people moving towards organised players. Out of Vijaya's 55 centres, about 45 are in Telangana and Andhra Pradesh; the others are in Bangalore, Gurugram and West Bengal. "We follow a hub and spoke model with hubs (21 of them) involving capex of Rs 15-18 crore and spokes Rs 3 crore." The technologies in the sector being used range from molecular technology and genomics to artificial intelligence and machine learning. For instance, if a person gets meningitis, an equipment, called BioFire, can tell whether it is bacterial, fungal or virus on day one. BioFire uses molecular diagnosis to find out the nature of infection in critical cases - be it meningitis, sepsis, gastroenteritis or respiratory infection in patients on ventilator. The report can be generated in two hours as against a couple of days it takes in normal course. The test costs about Rs12,000, while the cost of the equipment, made by French major BioMerieux, is around Rs30 lakh. The equipment has been there in the market for two years. There have also been changes in areas such as pre-natal diagnostics. For instance, it is possible to use a blood test to find out the risk of a woman delivering a child with down syndrome. Also, chorionic villus sampling makes it possible to determine the chances of a child inheriting a genetic disorder. Besides, it can be checked if the would-be mother is at risk of a complication called toxemia of pregnancy, a severe condition occurring in latter weeks of pregnancy and characterised by rise in blood pressure and excess protein in urine. Another focus is genetics, especially for cancer treatment, as latest tests determine if the patient will respond to chemotherapy or not. These tests cost Rs3,000-15,000 but can prove crucial. For example, doctors can find the genetic abnormality that is preventing a cancer patient from responding to therapy and try to reverse it. There is a growing space for radiology too as a PET-CT scan helps in regular monitoring to determine the stage of cancer and see if it has spread. Though the scan has been around for seven to eight years, what is new now is better quality equipment, of the kind used for cardiac CT scans to see if arteries are blocked (this test costs less than an angiography). The Indian diagnostics space is facing two major problems. One, most insurers do not pay for outpatient diagnostic services. Two, poor regulations. The government has set up the National Accreditation Board of Laboratories, or NABL, under the Department of Science & Technology, but accreditation is optional. Doctors say out of about 1,00,000 laboratories in the country, only 900 have accreditation. The reason is simple - accreditation involves not just fees but also running costs and paperwork; the costs could work out to around Rs5 lakh per year for a small lab. The board also has strict norms for number of rooms and quality of manpower and data keeping.. Also, radiology centres need approval from the Atomic Energy Regulatory Board or AERB but doctors say it is not uncommon to find centres running without AERB approval. All this will hopefully change sooner than later.